We spent two weeks in July driving the coast in search of great beaches. We began our trip in the Cinque Terre and ended up all the way in Barcelona. 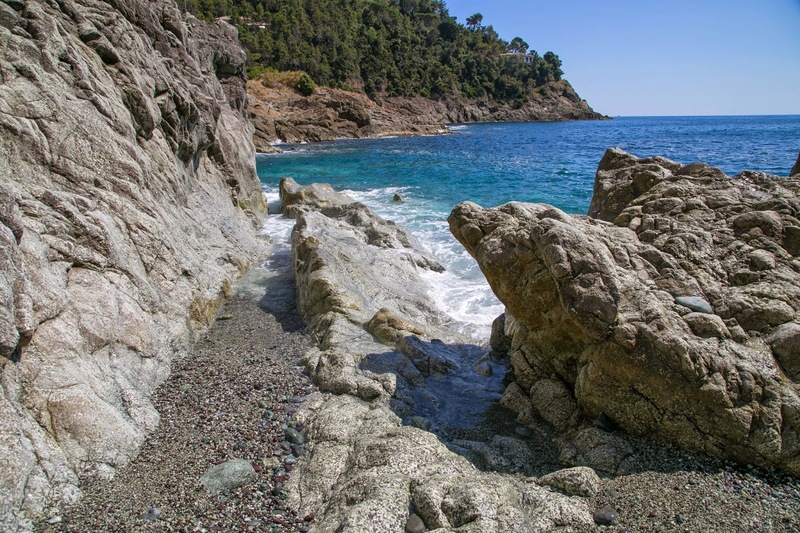 We visited popular touristy beaches like Nice, France and local's only beaches like Bonassola in Italy. Interestingly enough, my family doesn't agree on what was the best beach. I liked Begur along the Costa Brava because of its rugged nature, but daughter's favorite beach was in Nice. So, this is in no way an exhaustive or conclusive list as the thing that makes a beach "the best" is largely subjective. 1. 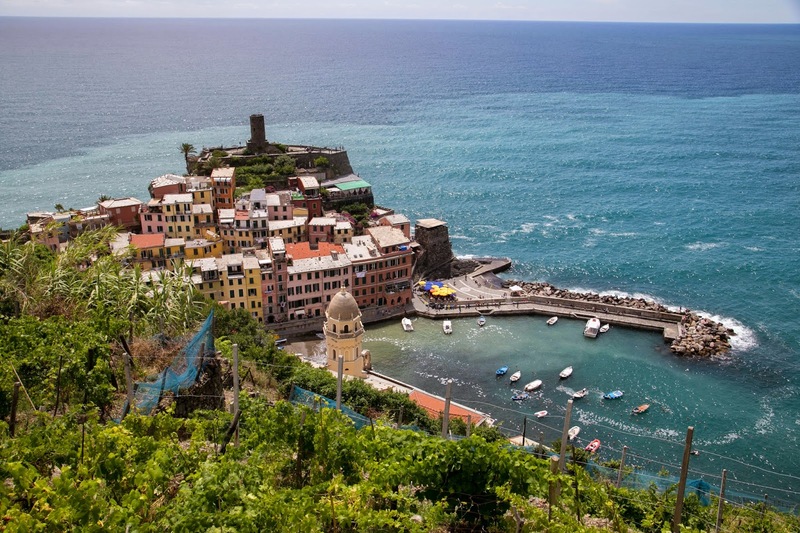 Cinque Terre, Italy--As I mentioned in this post, Vernazza has fantastic views, but doesn't have the best beaches. Rocky and full of sea trash we didn't find the beach here inviting. 2. Bonassola, Italy--I wrote about Bonassola back here. We went to this beach on the recommendation of our Italian hoteliers and loved it! This "local's only" beach has no sand, only small pebbles, but the water was warm and clear and the setting is rugged with rock outcroppings surrounded by green terraced mountains. Umbrella and chair rental available. This beach was a hit with the entire family. 3. Nice, France--The beach at Nice is rocky and uncomfortable; beach shoes required and a beach chair even better! Never-the-less, it was the favorite of my oldest daughter. The beach is dotted with private sections offering towels, umbrella's, chairs, changing cabins and refreshments so if you don't want to mingle with the locals you can have your own slice of heaven, for a price, of course! The other appealing thing about Nice is the town. While it is overrun with tourists, it does offer something to do when you tire of the beach. Free art museums, a variety of restaurants, lot's of shopping and an Italian feeling "old town," you won't find yourself bored in Nice. 4. 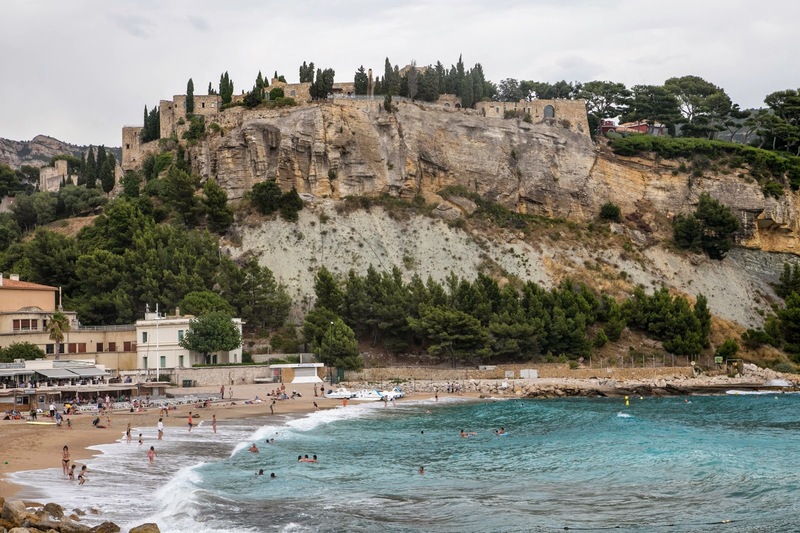 Villefranche Sur Mer--This local beach is a 20 minute drive or 10 minute train ride from Nice making it easily accessible for a day trip. 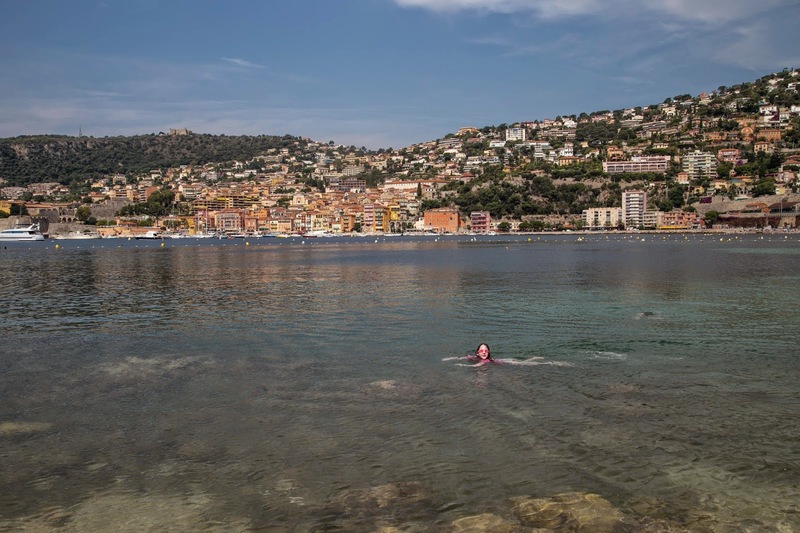 While English is practically the second language in Nice, Villefranche is quieter, quainter and its colorful waterfront with imposting fort just feels more authentic. Boats line the harbor offering great photo ops. The beach is a sand/pebble mixture, but the thing we liked best was the shallow, calm bay. This is a great place for families with small children because they can explore the shallow waters with buckets and nets or snorkel masks and not get overpowered by big waves. Free public toilets were a bonus! Explore the area before plunking your things down on the beach, there are a few gems with less people and crystal clear water. 5. Cassis, France--I loved the small resort town of Cassis and wish we would have planned more time there. There are two beaches--the larger one has sand while the smaller one that we ended up on was rocky. The water was really blue and clear, but particularly rough the day we were there. Cassis is the launching point for Calanque boat tours which we took, but the weather wasn't good so our tour was cut short and was a bit anti-climatic. A fortress watches over the town from a cliff above and a national park surrounds the area offering hiking opportunities to get up close with Les Calanques. However, there are summer restrictions due to fire hazards, (we learned the hard way), so if you plan to hike be sure to check ahead so that you aren't left disappointed. 6. 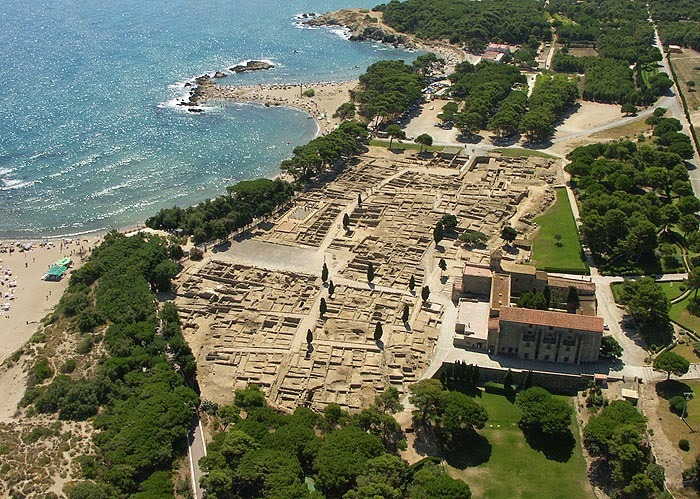 Empuries, Spain--Clearly, I didn't take the above photo, I swiped it from the internet because to truly appreciate what makes this beach unique you have to see it from the air. The ruins themselves are not spectacular, very little remains except for the foundations, but their location on the beach is incredibly picturesque. Sandy and with small alcoves for exploring this beach is pleasant. If you visit the ruins you can leave your car in the parking lot and access the beach from there. 7. Begur, Spain--By far, my favorite beach was at Begur along the Costa Brava in Spain. This resort town has been discovered! With mansions hugging the cliff sides one can hardly call this a local's only beach, but it is small enough to not feel claustrophobic. Begur is made for exploring. The town above has a fortress, the craggy outcroppings beg to be jumped off and the clear water allows for snorkeling. Water shoes are a must if you plan to scramble over the rugged rocks here. Kayak rentals are available for €8/hour. 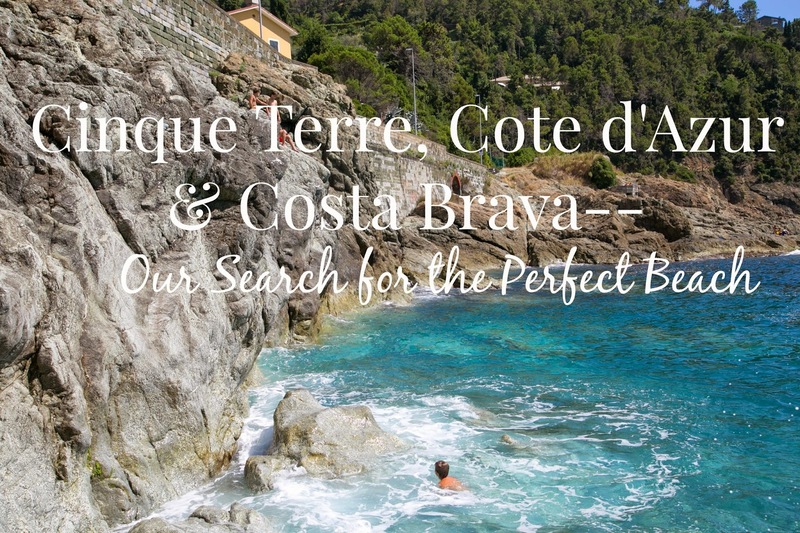 My husband and I agree--our favorite beaches were in the Costa Brava. We prefer the rugged, unspoiled, natural feel. As much as we like to lay on a towel drenching ourselves in sun, we also like exploring and the Costa Brava gave us that. I can't wait to return to the area to discover remote beaches accessible only by boat and hike the fortress laden hills. Great European beach photos. I'm not sure how I'd feel about Bonassola if all the rows of chairs were full of people though. The picture you are referring to is a private section in Nice, but you are right, it is a very busy place. I captured that shot early in the evening. Beautiful and pleasant place. Love to be there.